Landing on earth at the tail end of Generation X, Chris is well versed in Atari, Japanese Animation, skydiving and all things beverage. 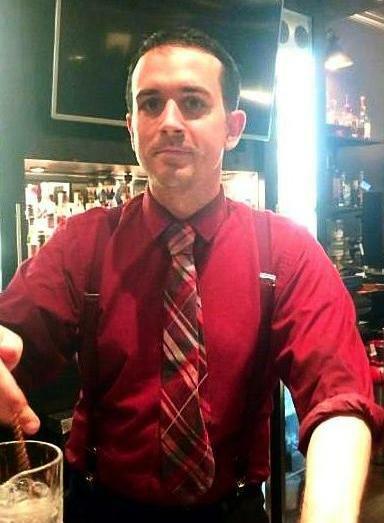 His resume lists stints at several cocktail bars throughout NYC, including Saxon and Parole, which won the prestigious'Tales of the Cocktail' Spirited Award for 'Best Restaurant Bar USA in 2013 during his employment. He also poured and stirred at The gin bar Madam Geneva, as well as the Michelin starred Lincoln Ristorante. Chris also bartended at Momofuku Ssam Bar and Ma Peche before becoming the Bar and Spirits Director for Momofuku, where he was the creative mind behind several of their diverse beverage programs. When the laws in NYC made it possible for spirits to be distilled in New York City Chris became the Distiller for Kings County Distillery, where he spent his days making Bourbon, Brandy and Moonshine in a warehouse in Brooklyn. Having spent his childhood in New Jersey, Chris decided to come back home a few months ago. 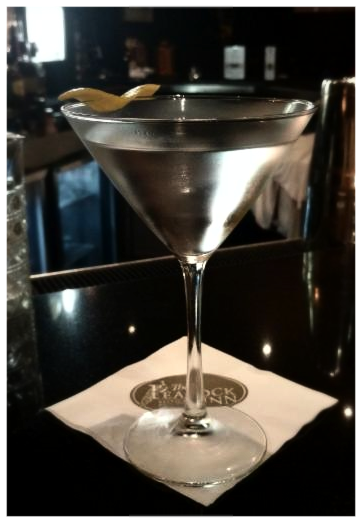 He is now working as the Head Bartender at The Peacock Inn where he hopes to continue to be challenged and is able to stay on the path towards creating new and innovative programs behind the bar. Also, he has never played Atari and is slightly creeped out by Japanese Animation. The rest is true. Blogging is a tool that can establish you as an expert and bring you more customers. During the past two years, I have written over 250 blog articles and also published a book - all while operating a full-time business. Listed below are my top tips on how you can become a more productive writer. 1. Get Started - If you are considering starting a blog, getting started is probably the most difficult step. Your mind may sabotage you with objections like “I don’t have anything important to say,” or “I’m a terrible writer,” or “I don’t have the time.” Nonsense. Select a topic, reserve a block of time to write, and then just do it. Voila, you now have your first blog article! The more you write, the easier it becomes. 2. Pick a Time That Works for You - Writing requires focus, so pick a time where potential distractions are minimal. For example, I enjoy writing in the morning or late at night. While writing, close out the various windows on your computer so that you can focus solely on writing. 3. Use Templates - For writing, and blogging in particular where basic HTML coding is required, I rely on templates. This prevents me from having to start from scratch every time. As an example, when writing a “Wedding Gig Log” where I review a wedding DJ experience, the articles always follow the same format with an introductory paragraph about the couple, a paragraph about the service and options we provided, followed by key songs from the reception, followed by several YouTube music videos, followed by an “About Us” section. 4. Focus on Quality over Quantity - Shakespeare once wrote that “brevity is the soul of wit” and he was right. Particularly in today’s society of information overload, readers are short on time and may just scan your article if it’s too long. So get to the point, and incorporate some pretty photos to maintain interest. Include links for readers who many want more information on your topic. 5. Stay Inspired - Whether you’re a wedding DJ, exterminator or lawyer - you DO have a wealth of knowledge to share. Stay curious about your world and constantly be thinking of new ideas for articles. Get creative! And if you should hit a lull where ideas are scant, then take a break. Do something fun with your family, and you’re bound to find your next inspiration very soon! Pop Goes the Page, the Cotsen Children's Library's creative literacy blog, is celebrating its 1st birthday in August, and we're having a birthday contest to celebrate! Here's how it works. Send us your artistic birthday well-wishes, and the selected winner will receive a $150 online shopping spree at Discount School Supply! The birthday wishes can take the form of a card, photo, adorable cupcake, artistic sculpture, song – whatever you desire. We are very excited to announce we are enabling our Jackeez Blog on the site. You are invited to submit blog entries on a wide variety of topics related to Jackeez and our community. We hope to get your recipes, and your ideas on everything related to what you’re producing and what you think of the evolution of small producers. We also want your personal and professional profiles, as you see yourself. You won’t believe how much people want to know about you. It’s time our Jackeez customers and visitors to the site got to know you better. So, please don’t be shy – and if you are – ask your friends, neighbors, mother-in-law to do it for you, I’m sure they would have a lot to say. We can’t wait to start receiving your submissions. Please send to info@jackeez.com. and thank you. Rock, Paper, Real Estate - A New Blog! The Nassau Tennis Club is a family owned business that has been providing tennis, fitness and sports programs to the Greater Montgomery area including Princeton, Hillsborough, Bridgewater, Skillman and Belle Mead for nearly 40 years. The Club has evolved into the area’s premier tennis facility, offering year ’round tennis opportunities for improving, competing and socializing. has its very own blog! Each month we highlight a forward-thinking business strategy or idea. February's Big Idea is "vertical integration." Although the term may sound dull and uninspiring, vertical integration is a challenging and revolutionary business strategy that all professionals should learn more about. Vertical integration, also called "vertical combination," is defined as the combination of two or more stages of production, which are commonly operated by separate companies. In other words, bringing two different companies with different functions together to operate as one team. Which companies have done this? The oil industry is a great example of a company that utilizes vertical integration. In the 70s and 80s, oil companies primarily worked to find and extract crude petroleum. Shortly thereafter, companies like BP and Shell began to take control of the entire process - not just extracting oil, but distributing the product, too. Soon they controlled every aspect of the industry, from taking the oil out of the ground to pumping it into consumers' vehicles. 5 New Beauty & Fitness Bloggers - Shape up Today! The Computer Learning Center at Ewing, a non-profit organization offering computer skills courses to older residents in central New Jersey and eastern Pennsylvania, has announced three new avenues to broadcast important information about its activities to its students and the public in general. First, the CLC has designed and launched an entirely new website at https://clcewing.org. The new site is expected to make it easier to access news about classes, the CLC’s free monthly Computer Tips and Tricks presentations, and other pertinent information about its many activities. Since it was established in 1993, the CLC has offered a broad range of courses, from basic to intermediate, all taught by and designed for mature adults eager to expand their computer skills. The CLC has also initiated its own blog at https://clcewing.wordpress.com. Visitors there will find information about new course offerings, monthly class schedules, and topics scheduled for upcoming “Computer Tips and Tricks” programs. These programs, which cover a broad variety of computer topics, are presented free of charge on the first Tuesday of each month at 2 p. m. at the Ewing Senior and Community Center at 999 Lower Ferry Road. Anyone can subscribe to the CLC blog by entering their email address in the box at the right side of the screen. This will ensure that they are automatically notified when new information is added to the blog. In addition, the CLC can now be found on Facebook. Current Facebook users can simply make himself or herself a friend to the "Computer Learning Center at Ewing." Not on Facebook? Just look for the CLC at https://www.facebook.com/pages/Computer-Learning-Center-at-Ewing/261134933906738. For further information about The Computer Learning Center at Ewing, courses or directions, call 609-882-5086, 609-883-1776, Ext. 6205 or visit the CLC website at https://clcewing.org. . Milestone Academic's Blog in our Back to School Feature - got kids in high school? This blogs for you. Nassau Inn has just launched their new BLOG. Log on to https://blog.nassauinn.com to read menu highlights, interesting hotel and restaurant facts, employee spotlights, what's new with the rejuvenation (construction) and much more. ADD us to your RSS FEED so you can see when there is a new post. Enjoy. We offer the expertise, resources and personalized attention to help your nonprofit organization realize its full potential. Our team also works with philanthropies to help build strong partnerships. Here is our nonprofit blog.